With any litigation matter, I believe it is very important early on to discuss the desired goal with the client, and to discuss the risks. A federal court litigator for almost 40 years, Phil Kirkpatrick focuses on cases related to entertainment, intellectual property/technology, products liability and commercial matters. He is also a Tennessee Supreme Court Rule 31-listed general civil mediator. With a great deal of experience handling legal issues encountered by individuals and entities in the music industry, Phil has represented artists, songwriters, producers, musicians, managers and major music groups including labels, publishers and merchandisers. He and Linda Howard in the firm’s Music Row office also handle copyright termination and recapture litigation, which is a fast growing and very significant practice area in a songwriter town like Nashville. As a former 7-to-midnight rock ‘n roll disc jockey and drummer in two bands, Phil draws on his own experience in the music industry to help artists and others with their legal issues. Phil counsels clients in a broad range of commercial disputes, including restrictive covenants and numerous other contractual matters, as well as soft intellectual property (copyright and trademark) and trade secret cases. In products liability work Phil represents manufacturers, sellers and others dealing with issues stemming from fires, explosions and other accidents. In addition, Phil defends leading small appliance manufacturers, power tool manufacturers, and numerous other product manufacturers. With his wide ranging and blended practice areas, Phil gets satisfaction from handling both litigation involving intellectual properties in the music and entertainment industries, as well as the science-driven litigation on the products liability side involving engineering, design, materials and failure analysis—more the world of linear thinkers and the scientific method. 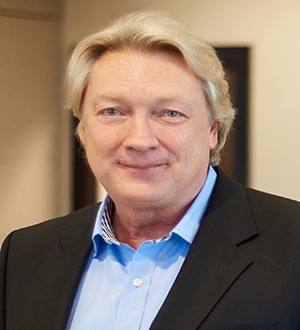 In the community, Phil serves as an active voting member of the Country Music Association, and participated for six years as a Board of Trustees member and as General Counsel to Harding Academy, a K-8 Independent School in Nashville. Phil has also served on the Board of Directors of the Tennessee Art League in Nashville. University of Tennessee - Knoxville, J.D. University of Tennessee - Knoxville, B.S.